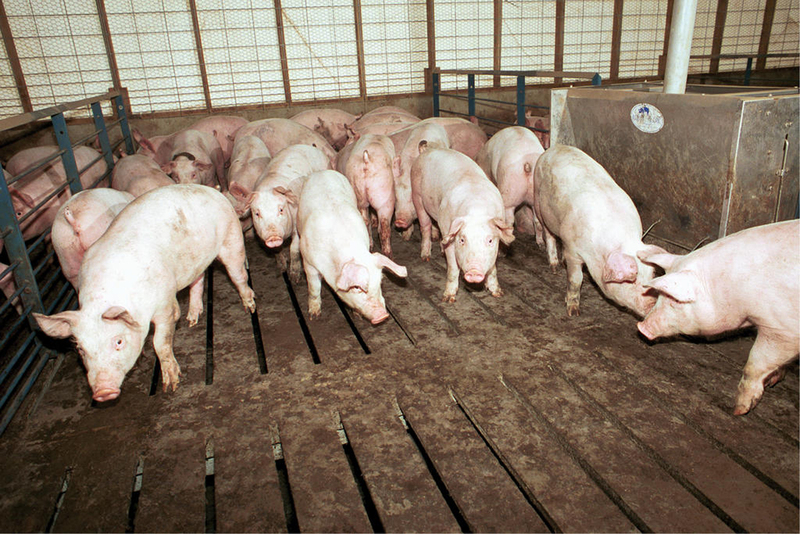 “There's not a large capacity plant to market finished pigs anywhere close in the southeast region right now,” Crenshaw said. Crenshaw said he anticipates a long-term change in the type of hog production in Mississippi and neighboring states. Terry Emerson is general manager of Prestage Farms Mississippi in West Point. His division took 100 percent of their market animals to the Bryan plant where they accounted for 35 percent of the plant's capacity. He said Prestage Farms Mississippi and Sara Lee are working out details in this contract. The company he represents is going to have to change its business plan and will change the type of hog operations it contracts in the state. “Instead of growing-out market animals, we're going to become an all-sow herd and ship weanlings to the Midwest,” Emerson said. Barn interiors will be reconfigured to accommodate sows and piglets, which will be shipped to the Midwest after they are weaned. Emerson said Prestage Farms is remaining loyal to their Mississippi contract growers, even if it costs the company. “We're going to create a business model where everybody in the swine industry affiliated with Prestage Farms will have the opportunity to stay in the swine industry,” he said. Crenshaw, the swine specialist at MSU, said Prestage Farms is not alone in having to change the way it does business. “We may see some growth of specialty marketing and more emphasis placed on producing pigs to be shipped elsewhere to be fed out,” Crenshaw said. Stanley Brooks, director of agricultural enterprises at the Mississippi State Penitentiary at Parchman, said his operation was selling about 170 pigs a week to Bryan Foods. While the penitentiary has a mostly pork-free menu, it sends about 30 hogs a month to a local processor to provide food for inmates. Inmates at community work centers sell the ribs and sausage to customers. Brooks said the swine operation at Parchman was set up to be a moneymaking enterprise and to give inmates work. “Our operations are set up to be very labor intensive. We have a 4,000-head farrow to finish operation, and we work about 60 inmates,” he said. Labor costs are very low, and the prison grows its own corn and has its own feed mill. Brooks said this keeps production costs lower than those faced by most others in the business.